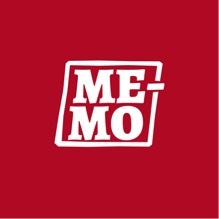 Founded by a group of award-winning photographers committed to covering the stories affecting the world around them, and in partnership with Libre, a group of web-passionate developers, Me-Mo is a documentary photography magazine that strives to push the limits of visual storytelling. 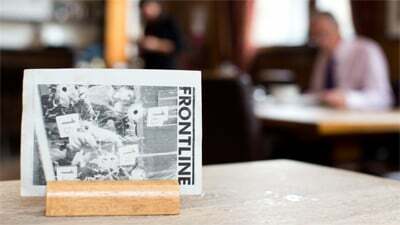 Following the release of issue #1, out on digital newsstands from 19 January, Me-Mo co-founders Manu Brabo and Fabio Bucciarelli and Libre president Matteo Dispenza, will be joining us at the Frontline Club to present the project and the inspiration behind it, and to talk about how technology is influencing new medias. Brabo and Bucciarelli will also present their work, featured in issue #1, on the Libyan revolution. Manu Brabo is a freelance photojournalist whose work has mainly focused on social conflicts worldwide. Since 2007 he has been working on political upheavals, uprisings and wars in countries such as Haiti, Honduras, Kosovo, Libya, Egypt, Syria and Ukraine. Amongst other awards of merit, he is the 2013 Pulitzer prize laureate for his work covering the Syrian civil war for The Associated Press. Brabo’s featured work in Me-Mo magazine issue #1 is a long-term and personal approach to a subject he has experienced first-hand: imprisonment in a Libyan jail. Fabio Bucciarelli is a documentary photographer focused on conflicts and the humanitarian consequences of war. He has spent the past few years covering the major events in Africa and the Middle East, notably in Syria, Libya and South Sudan. He has won numerous awards, including the Robert Capa Gold Medal and World Press Photo. Bucciarelli’s ongoing report on the complexities of covering the Libyan revolution is featured in Me-Mo magazine issue #1. Matteo Dispenza began his career as a reporter for Italian television; he worked at Televideo Rai and on projects such as a screenplay for Universal Pictures / Cattleya. He then began to work on web design projects and soon founded Libre, a creative digital group based in Turin. He is currently Professor of Innovation and New Media at Istruzione Tecnica Superiore Foundation in Turin, as well as managing the technical aspects of Me-Mo magazine. 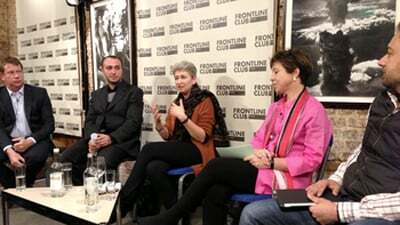 Chaired by Paul Lowe, the course director of the Masters Programme in Photojournalism and Documentary Photography at London College of Communication, University of the Arts London. 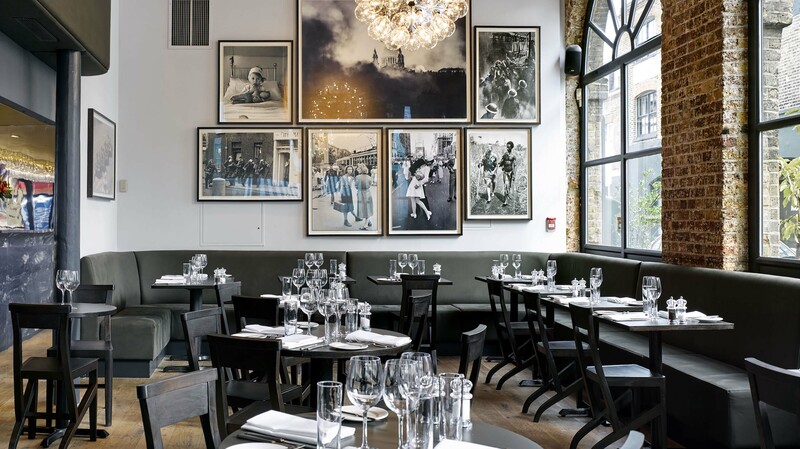 He is an award-winning photographer, whose work is represented by Panos Pictures, and who has been published in Time, Newsweek, Life, The Sunday Times Magazine, The Observer and The Independent amongst others. He has covered breaking news the world over, including the fall of the Berlin Wall, Nelson Mandela’s release, famine in Africa, the conflict in the former Yugoslavia and the destruction of Grozny. Made by freelancers, for freelancers, Me-Mo provides a platform for dedicated stories which might not fit mainstream news outlets. It combines photography, video, text, 3D animation and info-graphics in order to develop and consolidate new ways of storytelling. Publishing long-term projects and in-depth stories focused on social issues, conflict and humanitarian disasters, Me-Mo is dedicated to creating sustainable photography projects that narrate international histories, whilst also reaching out to the widest audience possible. Me-Mo magazine will be published quarterly in English, Spanish and Italian. Manu Brabo. Member of FSA opens fire on positions of the Syrian army in the neighbourhood of Salah Hadeen in Aleppo, Syria in March 2013. Fabio Bucciarelli, AFP. 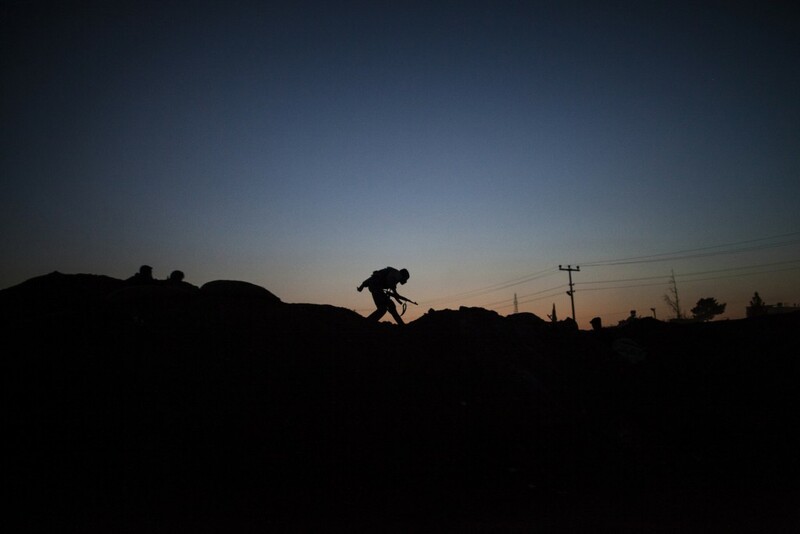 The silhouette of an armed fighter of the Committees for the Protection of the Kurdish People (YPG) is seen as he runs to take position along the frontline in Ras al Ain, near the Turkish border.